The battle for control of Sky has escalated after US media giant Comcast raised its offer for the broadcaster. The new offer, which values Sky at £26bn, trumped an earlier bid from Rupert Murdoch’s 21st Century Fox. With 20 million subscribers in Europe, Sky is an attractive target. Its future is part of bigger battle among media companies such as Disney and Comcast as they respond to the challenge of newcomers such as Netflix. Comcast said its sweetened offer has been recommended by Sky’s independent committee of directors. 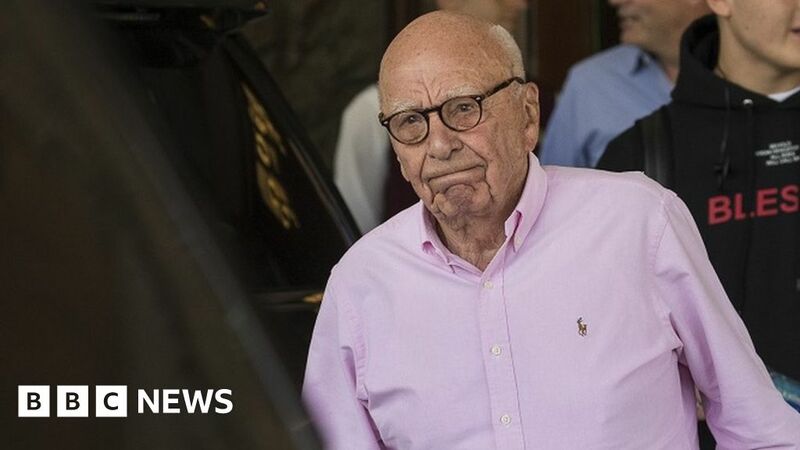 Rupert Murdoch’s Fox has been waiting for approval from UK authorities before putting its offer to Sky shareholders. Fox expects the Culture Secretary, Jeremy Wright, to give it the go-ahead later on Thursday, with the condition that it sells Sky News. Comcast gatecrashed Mr Murdoch’s attempt to buy the 61% of Sky his company did not already own in February while the Fox deal awaited government approval. Last month, the then Culture Secretary, Matt Hancock, said there would be no public interest concerns with a Comcast takeover of Sky. The skirmish for control of Sky is being fought in the shadow of an even bigger battle – a struggle for control of prized entertainment assets owned by Fox, including its stake in Sky. Disney and Comcast are locked in a battle for those businesses, which include movie studios, cable channels, National Geographic and a 30% stake in video website Hulu, as well as Indian network Star. In June, Disney raised its offer for the assets to $71.3bn (£54bn) in cash and shares. Under the deal, Fox would keep Fox Sports, Fox News and Fox Television Stations and make them into a new company called “New Fox”. Hong Kong-based hedge fund Case Equity Partners, which has a stake in Sky, said the fact Disney was in a slightly more favourable position for Fox’s US media assets meant that Comcast would fight even harder to win Sky. “We see a final Sky deal outcome at well over £15 per share,” said managing partner Michael Wegener.